"you can tell form his face, a nice guy, an american"
Lyle Barcus, a resident of Colorado Springs since 1963, went to his heavenly home on April 4, 2019, dying peacefully in his sleep. 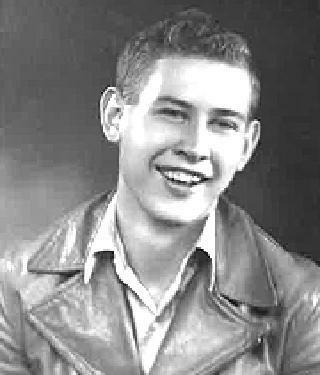 He was born in Yale, Iowa on August 12, 1922 to Harlan and Della Ulrich Barcus. He was baptized and confirmed in the Dunkard Brethren Church and then the Lutheran Church with his marriage to Darleen in 1949. Over the years he served as Lions Club President, Sunday School Superintendent, church financial oversight committee, volunteer for Silver Key Meals on Wheels, and supporter of scouting and youth baseball. He graduated from Fruita H.S. in 1941 and attended Mesa State (then junior college) in Grand Junction. In WW2, he was drafted into the military as a repeaterman/clerk in the Army Signal Corps from 1942-1946 with the 339th signal company wing group. He was a recipient of medals: Repeaterman 187, Good conduct medal, American Service medal, Asiatic Pacific Service Medal, and WW2 Victory medal. 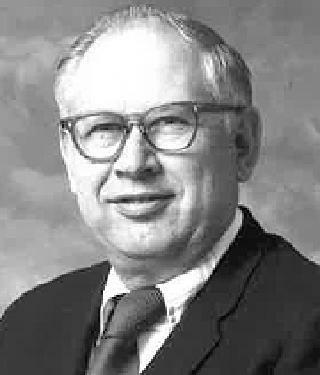 An information technology pioneer, he was grateful for the career path with Mountain Bell snf At&T, as lineman, manager, and supervisor, spanning a career in Ouray, Rifle, and Colorado Springs between 1947 and 1979. He loved peanut brittle and a good barbecue. He loved to fish, camp and square dance. He took the family on summer trips across America. He whittled, crafted wood projects and received a Springs Area Beautiful Association Award in 1982 for his yard and gardens from the City Council. He put a high priority on encouraging his children to pursue higher education to break the chains of poverty. He became totally deaf in his latter years but retained a quiet and deep belief in the power of prayer and the hope of eternal salvation. God rewarded him with a return of his hearing in his final days. He was most grateful to those who cared for him in his last weeks. A private internment has been planned. A Celebration of Life memorial will be held at a later date. In lieu of flowers, please make donations to: Pikes Peak Hospice.